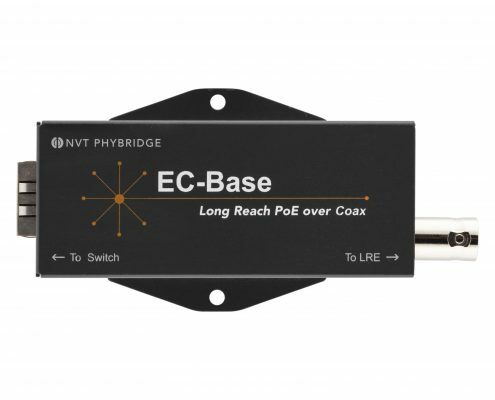 The NVT Phybridge EC Extender Solution is designed to supercharge the downlink ports of a standard Ethernet switch delivering 10/100Mbps symmetrical (full duplex) and PoE over Coax infrastructure with distances up to 4,000ft (1,220m). That’s 12X the reach of standard Ethernet switches, thus removing the costs and disruptions associated with multiple IDF closet requirements. With the EC Extender Solution, IP IoT devices can be connected to the existing Coax cabling infrastructure, delivering optimal performance, while saving cost, time, and environmental e-waste. Furthermore, the cost savings realized by using EC Extender Solution can enable system designers to transfer budget and resources towards higher-quality, applications and IEEE-compliant IoT devices, including IP-enabled phones, cameras, access control, speakers, and even facilities lighting. 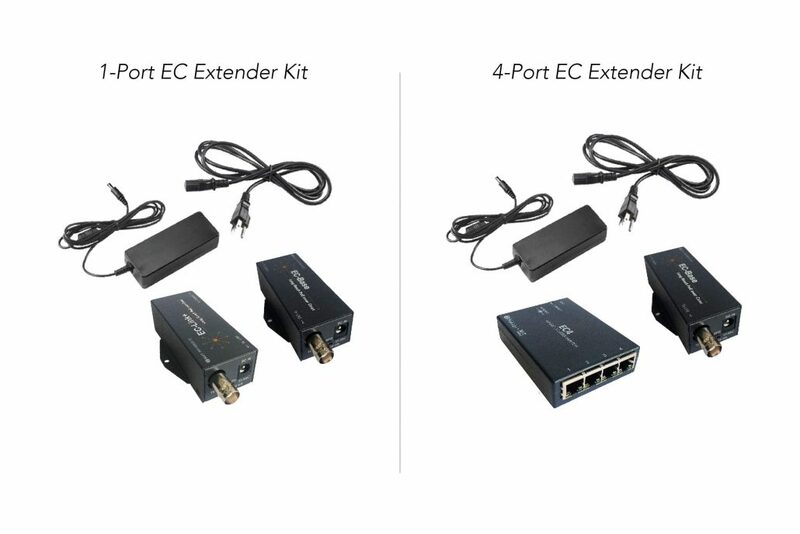 There are three media converter options available to pair with the EC-Base Extender and extend PoE over Coax. The EC-Link and EC Link+ are single endpoint solutions and the EC4 enables 4 IP endpoints from a single long Coax cable. Power Supply PoE from standard PoE switch, or external power supply; maximum 50W if locally powered. Quick Install Guide Rack mount kit for up to 8 CHARIoT Extenders (NV-ECLK-BSE and NV-FLXLK-BSE). Power supplies are sold separately; recommended part number: NV-PS55-190W. Datasheet The 55VDC 60W optional power supply to locally power the EC-Link+ adapter.